So, you’re searching for the best blender food processor combo? Why choose between a blender or a food processor when you can have the best of both worlds combined in one easy-to-operate machine? Now, if you’ve read my review of the best microwave toaster oven combo, then you may know some of the big drawbacks of multifunctional appliances. Sometimes manufacturers just can’t seem to make a multifaceted machine that isn’t sub-par in one of its core functions. Other times the benefits outweigh the negatives. The blender food processor combos on this list are different as they perform both functions pretty well. 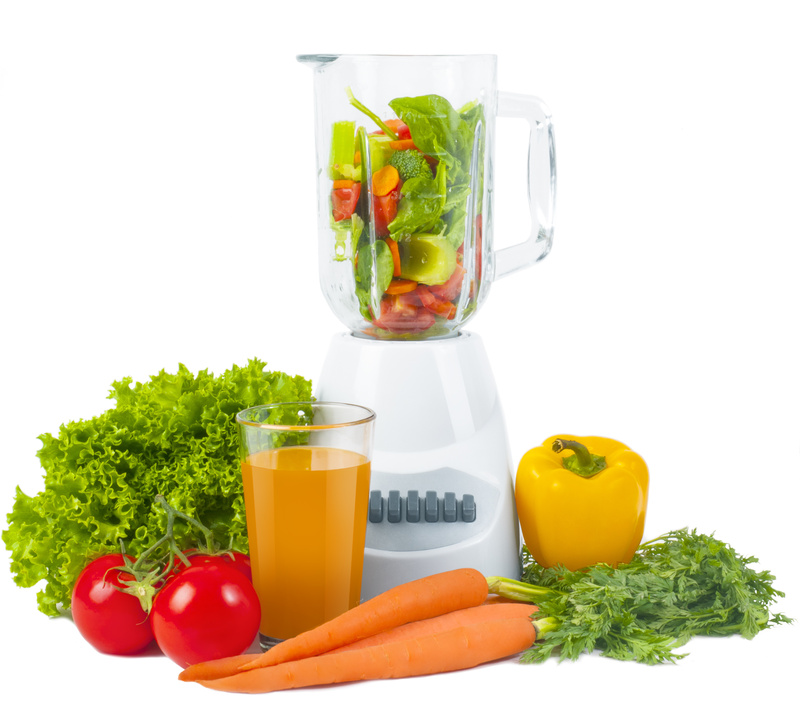 Which blender food processor is better for you and your family…? Below, we’ve put together a nice list of the best blender/food processors that we’ve come across. This isn’t just a list of every product out there but rather a well-researched curated list. You will find options from different price ranges, feature options and brands. What is the Best Blender Food Processor Combo…? Important Features – What to look for in a Blender Food Processor Combo..? I’m partial to the Oster brand because it’s one that I still see at my Grandmother’s home to this day. It’s not uncommon to read or hear stories about Oster products lasting for decades. And it’s not just hearsay. Even though Oster seems to use cheaper materials now than it did back in the day, I still feel as though they make good stuff. My experience with Oster- after owning a pair of hair clippers, a microwave, and a low-budget blender – has been great (the Oster blender we own isn’t the best but it is adequate and has lasted nearly a decade with no issues). So I’m obviously optimistic about the Oster Pro 1200. The Oster Pro 1200 proves that you don’t need to break the bank to get a high-powered machine designed to blend and food process. This 1200-watt power puncher can churn through ice and leafy greens which is impressive for its price. Lots of users compliment this machine for its ability to turn frozen fruit into a smooth consistency. For consistent ice crushing performance you’re going to need to invest a lot more. This machine is powerful but I don’t want to mislead you. It’s not like Vitamix or Blendtec powerful. For the customer that could never justify spending like $300 to $1,000 on a blender this seems to be a good alternative. Another consequence of this power is the noise. We also have a Vitamix blender and it is so loud I sometimes wonder if the neighbors can hear it. This is to be expected when it comes to powerful blenders. Heck, even weak blenders are notoriously loud. But I’ve happened upon a number of reports that say that the Oster 1200 is especially loud. So that is something to keep in mind especially if you plan on using this early in the morning before everyone wakes up. All in all blenders are just doggone loud. Note: Although the machine is rated at 1200-watts the ice crushing function uses just 900-watts. Now, you might expect this mighty machine to have a huge footprint. Well, that’s not the case here. The Oster 1200 is compact measuring just 7 x 7 x 14 inches. The “14” is of course the height. Which means it’s small enough for you to effortlessly find a home for it on your kitchen counter. Perhaps underneath the upper cabinets – in plain view but out of the way. Looks aren’t everything but when all else is equal no one is going to pick the ugly duckling machine. To say that this machine is clad in “brushed nickel” as they call it is clever and perhaps a little misleading. In truth, this little blender that could is shrouded in a silver or brushed nickel colored plastic of which some have called “cheap looking”. For what it’s worth I think it looks pretty good. The control panel is black with silver buttons aligned in the formation of an upside down triangle. Those buttons include the following: green/frozen smoothies, food chop/salsa, milkshakes, low, medium, high, pulse, on/off, and stop. I do have to say that the faux chrome coating on the buttons will probably wear off over time. We’ve experienced that with many different kinds of gadgets. That’s just what happens to that kind of cheap material. With a 6-cup capacity, you can make smoothies for 3 people at once. The glass pitcher isn’t just made out of run-of-the-mill cheapo glass. It’s actually made out of Boroclass which is a kind of glass that is resistant to thermal shock. It’s very important for a pitcher to be thermal shock resistant because you may need to add a cold liquid to a warm creation or vice versa. The measurement markers on the pitcher are reported as being easy-to-read which positively adds to usability. The base of the pitcher is wider than the non-pro line which is designed as such for greater efficiency. The all-metal drive gets the Oster 1200 major points in my book. Basically, this is the part of the machine that is doing all of the work. And, of course, you want your blender to be a work horse. So, can you believe that some machines actually have plastic components in the drive system? In most conditions plastic is going to wear out faster than plastic. Even better is that the metal drive is actually backed up by a 10-year warranty which Oster claims to be life tested to 10,000 smoothies. The Oster Pro 1200 sports blades that are 50% larger than the non-pro line. The 6-point, 3.5-inch, dual directional blades are designed so that the bottom and top portions of the blade rotate in different directions. These “pro” features are supposed to help the pitcher contents to flow down into the blade for faster and smoother results. The 5-cup work bowl is bpa-free and has a stainless steel slicing disc and chopping blade. There is a feed chute and plunger as well (some food processors don’t have one). A common problem with blenders and food processors is that often times the blades are positioned just a bit too high for them to reach concoctions that are being made in small quantities. So if you’re using one to make a tapenade or homemade mayo, then this might be an issue for you. I also read some complaints that the work bowl wasn’t of the best quality. To-go smoothie cups are common place now because they offer a convenience that can’t be beat. This one has an extra-large capacity at 24 ounces. Also, on a busy morning you won’t have to worry about finding a separate cup to put your smoothie in. But there are some reports of a design flaw. Some users have said that the rim of the cup actually ends up being pretty difficult to clean. Sanitation is very important and not having an efficient way to keep the cup clean could prevent you from using it. On the flip side, I haven’t come across a lot of these complaints. The warranty for this machine is 3-years while the drive system is covered by a 10-year warranty. Budget conscious shoppers will definitely want to consider this blender. This super-low-cost blender/food processor may not be the most advanced, powerful or the prettiest but it carries with it enough power to get the job done. That is, depending on what you consider acceptable. At such a low price I was pleasantly surprised that this unit can actually do some of the things that it says it does. I’ve read multiple reports about this machine and I want to be clear about its limitations. To be content with this one, you have to accept that you are not going to get the same performance that you’d get from a $100 machine. Given the price point, this machine is actually quite powerful. If you’ve done any research on this blender then you probably know that the allure of this model is in its overall value. With 700-watts of power and the “Wave Action” (which is probably little more than clever marketing) this blender food processor combo should be a force to be reckoned with. So, what level of performance can you expect from this machine? How does it perform when it comes to ice? Leafy greens? Can you make salsa in the food processor? A lot of the reviewers that I came across mention how it can chop up ice and leafy greens pretty well, while other, dare I say more candid reviewers tell a different story. This machine seems to have spotty, at best, results when it comes to obliterating ice. Sometimes you get a smoothie with a smooth texture, and other times not so much. My research tells me that you need around 1000 watts to consistently make short work of ice. A 700 watt motor means that you are probably going to need to blend for longer than you would care to. Note: A smoothies “smoothness” and the amount of time it takes to get smooth has to do with more than just power. You have to consider the amount of ice and or leafy greens that you add. Even the best blenders will have a hard time if you add in too much ice. Make sure that you add liquid first. As far as the food processor is concerned you may get acceptable results but that is purely subjective. I’ve come across reviewers that said that this unit does a good job at making hummus and salsa. Others stated the exact opposite calling it junk. Some folks have said that the food you put in the processor just spins around barely chops it. Based on these mixed reviews I think you might find this food processor to be serviceable but very limited. For example, it simply doesn’t possess the power or the equipment to make dough. And you may experience spotty performance when it comes to making hummus. But for the price a lot of users are willing to take that risk. This is a small blender and you’ll be able to easily find a location for it on your countertop. It measures 8.69 x 14.13 x 12 in and comes in black and silver. The base housing is made out of metal and plastic. Everything about this blender looks pretty basic. There aren’t too many buttons to confuse you. In fact, the buttons are simple and cheap looking. I do like that the lid to the blender pitcher has a spout that should reduce spills and unnecessary messes. And the food processor work bowl has very clear measurement markings on the side. Overall it’s a very basic looking machine. The control panel is comprised of 5 buttons and they are labelled in a weird kind of way. Instead of labels identifying a speed, all of these buttons are labelled as functions. The first button is the off button. Then you have a button labelled “Mix, Milkshake, Easy Clean”, then “Puree, Smoothie, Icy Drink”, next is “Dice, Chop, Salsa” and finally, “Grind, Crush Ice, Grate”. The last two options are pulse. So when the description says “12 blending functions”, that’s not exactly true. There are really just 2 blending speeds and 2 pulse speeds. The pitcher is 40 ounces which is small compared to some of the 72-ounce capacity monsters out there. Nevertheless, this is large enough to make smoothies for 2-3 people at once. The pitcher is glass which is good. I find that the plastic pitchers usually get marred with scratches much quicker than their glass counterparts. Some users were critical of the design of the pitcher. The top of the lid has an opening that doesn’t close all of the way and this can result in an overflow. Apparently this isn’t a problem when you are blending small amounts of food stuff. It can become an issue however if you were making smoothies for the whole family in one batch. Another problem with the pitcher is that the narrow pour spout, convenient for pouring, is a bit too narrow for adding additional ingredients. The food processor work bowl has a 3-cup capacity which is the perfect size for a small family. This is definitely more of a starter food processor size. Do note that the work bowl is plastic. On such a basic machine, you probably wouldn’t expect to find a retractable cord storage. But this model has one. This is one of those premium features that even some of the best brands don’t bother to add to their products. I also like that there is a button labeled for cleaning. If for no other reason than to serve as a reminder that you can easily clean blenders and food processors. Just add water and a couple of drops of soap and run a blender cycle. The warranty is 3 years which is very good for a product in this price range. But, given the price, some folks might find that sending this item back isn’t worth the trouble. The Ninja brand is now ubiquitous. They are simply everywhere and unavoidable and that isn’t a bad thing. For some, a blender that cost more than $100 is simply a waste of money – they’re just too expensive. But that old you get what you pay for cliché comes into play here. I’ve done A LOT of research on blenders. I don’t think that Ninja blenders are too expensive. And I don’t consider them to be high-end small kitchen appliances either. In my opinion, Ninja blenders actually represent a mid-range product. They aren’t too expensive nor too cheap. A true high-end blender is going to run you several hundred bucks or more. There are tons of Ninja blenders out there. We chose this one because it is well received by customers and it won’t completely break the bank. With 1500-watts of power I think you can begin to see why the Ninja bl770 is a cut above the rest. To put it another way the power is close to 1-horsepower. Weaker machines don’t come close to being measured in horsepower. Not in any meaningful way. Some of the challenges that you run into with those cheaper machines are null and void with a Ninja. So, can this machine blend ice into a fine consistency? Yes, and then some. I’ve read about users who can turn their ice into snow with this blender. What about those other notoriously hard to blend food items like kale, carrots and other root vegetables? Can it puree these tough veggies? Well, yes and no (according to customers), let me explain. I actually came across some surprising news with regards to bl770’s ability to puree leafy greens. When you use the included to-go cups to make your smoothies then it handles the leafy greens very well. However, some users say that the pitcher doesn’t do as good a job as the to-go cups. They claim you’ll end up with very fine chop, but it won’t be quite puree which is probably the consistency you’re looking for. I’ve come across a number of users that echoed the same sentiment. Still, I’d suggest that you read some of the reviews for yourself before you make any conclusions. I can tell you from experience that there is a little experimenting that you will need to do in order to master your machine. Despite those reports, there are many customers that are happy with this machine. A food processor should be able to do a couple of things really well in my opinion. For one you want it to be able to make dough. Check. This unit comes with a dough blade that many folks use to make cookie or pizza dough. It should be able to dice or grind. Well, I’ve come across many happy users that make pesto, garlic paste, salsa, and hummus in this food processor. It should also be able to slice. The bl770 can slice but it doesn’t include a slicing blade. You’ll have to purchase a slicing blade separately. Powerhouse blenders like the Ninja bl770 aren’t small by any stretch of the imagination. But based on pictures, dimensions and from I’ve seen in stores I can say that this one isn’t too big. It measures 9.5 x 8.2 x 17.8 inches which should be small enough to fit underneath the top cabinets on your kitchen counter. Even though it’s dressed up in chrome accents, I don’t find the design of the bl770 to be particularly attractive. In my opinion it has more of an industrial look and feel with mostly its dark grey and black color scheme. Perhaps, perfect for an office kitchen? You might notice the feet on the bottom of this machine. These are actually suction feet that will prevent your blender from vibrating off the counter and onto the floor. Though small, this is a really thoughtful element. Not all powerful blenders have a mechanism like this (see Oster pro 1200 above). I like that the Ninja bl770 has a really simple interface. There are just 6 buttons and they all make sense. You’ll find the following controls: power, pulse, dough, blend, crush, and single serve. They are self-explanatory. The total crush technology is the smart marketing name given to the process that lets you turn ice into snow or whole veggies into puree. Unlike almost every other blender blade out there, these blades are arranged in a tower that extends up the middle of the pitcher. There are two blades on the bottom and two on the top. The blender pitcher is 72-ounces which makes the 40 ounce alternatives listed on this page seem tiny. For a large family that regularly drinks smoothies this means that you can make everyone a smoothie in just one batch. The total crush technology is the smart marketing name given to the blade system that lets you turn ice into snow or whole veggies into puree. Unlike almost every other blender blades out there, these blades are arranged in a tower that extends up the middle of the pitcher. There are two blades on the bottom and two on the top. The food process work bowl is a large 8-cup capacity which is perfect for making pizza and cookie dough. High-quality stainless steel blades help you power through any food that you might want to process in the 8-cup work bowl. For the food processor you get a dough blade and a dicing blade. But unfortunately it doesn’t include a slicing blade. The bl770 Ninja blender system comes with two 16-ounce to-go cups. If you are a regular smoothie drinker these cups can help to make your morning routine a lot easier. Just blend and go. No dirty dishes to worry about. Some users say that the to-go cups actually blend stuff better. The warranty is for 1-year only. This is definitely not an impressive warranty but this common for goods in this price range. During our research, we came across a number of machines that we don’t recommend for a number of reasons. It could be that we feel the price is too prohibitive for most people. It could be that the number of complaints are just too high. Or the product could lack in a core function area. Perhaps too little power. We listed one below for reference. There was a time when Cuisinart was synonymous with food processor. In fact, the company was started in 1971 to bring the food processor to the United States. It was a huge success. Later, Cuisinart moved into other markets including blenders. So it would seem only natural that a blender/food processor made by Cuisinart would be a good buy. Well, perhaps, but we couldn’t find one. The Cuisinart PowerBlend Duet has an underpowered motor at just 500 watts. That means that you aren’t likely to blend ice well, and if you do it won’t be consistent. You would have to run multiple cycles. To confirm this theory I read through lots of online customer feedback. There were too many customers that confirmed our suspicions. Some complained that it couldn’t handle ice very well. And more than a handful said that the machine quit on them after a short time in use. Sometimes this “short time” was a few uses other times a few months. Some folks even complained that it produced a burning odor when in use. If the unit breaks down before the warranty then you’re covered, right? Well, sort of. Technically the warranty covers you. But you’d have to pay for shipping cost which means that it probably wouldn’t be worth your time – given the price of the machine itself. At a minimum I’d say you want a 700-watt machine. But I’d choose even higher wattage. This is probably the most important thing to consider when looking for a new blender or food processor. A low powered machine is going to struggle with tough ingredients like leafy greens, carrots and ice. I prefer metal parts to plastic in most cases but sometimes it doesn’t matter. Our Vitamix has plastic housing and it is a quality machine that will stand the test of time. Most blades are made from stainless steel and should be resistant to rust. When you read through comments look for mentions of cheap, or cracked, broke down. Determining what capacity you need is a personal choice. A 40-ounce pitcher and 3-cup work bowl would work just fine for a family of 3. While some families would need a 72-ounce pitcher and 8-cup work bowl. Perhaps you have a large family but you’re the only one using the blender to make your pre-workout smoothie. To-go cups are a very good way to save time on cleaning. They are also very convenient and usually easy to clean. I would definitely go for a model with to-go cups. Longer warranties are better but to understand the true value you have to consider how much you’ve paid and how much using the warranty will cost you. Let’s say you paid $100 for the unit and you have to pay $20 for shipping should you need to use the warranty – this might be a good value. If you paid $30 for the unit and shipping is $20 then not so much. There are a lot of blender/food processors out there. Don’t get overwhelmed. On this page, you have 3 decent options to choose from; the Ninja bl770, Oster Pro 1200, and the Hamilton Beach 58149. They may appeal to you for different reasons. Some folks might go with the Hamilton Beach because it is a budget friendly option with just enough power to yield “decent” results (I think it is under-powered for consistent results that would satisfy me). Others might find the Oster, with its 3 year warranty and 10 year drive system warranty very attractive. It has enough power and confirmed customer reviews to make it a serious contender for your cash. The thermal shock resistant glass pitcher is another benefit. The best choice in my opinion is the Ninja bl770 with 1500-watts of food obliterating power. This machine is head and shoulders above the others on the list. It can make dough, salsa, hummus, and turn ice into snow. There is however a premium for that kind of performance. At the time that you go to purchase, you will probably find that the Ninja bl770 is the most expensive of our recommended options. In fact the bl770 made the list because given its talents it is one of the most budget friendly Ninja blender options you can buy. My advice is don’t let price scare you off. You usually get what you pay for. The one thing that could be better is the paltry 1 year warranty. Other than that I think that the Ninja bl770 is one of the best blender food processor combos out there. Haha the name “Hamilton Beach Power Elite Multi-Function Blender with Glass Jar and Chopper (58149)” caused some confusion initially as it seems to be a combination of 2 different devices. One being the Hamilton Beach Power Elite® Multi-Function 40oz. 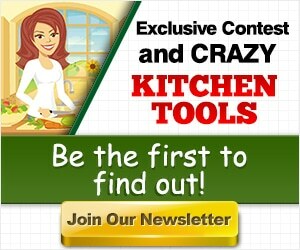 Blender – Stainless 58148 and the other being the Hamilton Beach 2-in-1 Blender and Chopper – Stainless 58149!